Ronald James Donovan was born on April 4, 1965 in Maryland. Ron was adopted by Robert Oliver Donovan and Orene Docia Donovan, who were soon transferred to work in Pearl Harbor, Hawaii where Ron was raised. Ron attended Punahou High School and graduated from Radford High School, where his uncommon dressing style and his natural ability to meet people and make a positive impression, started something that would last forever, to make strong and lifelong friends. Ron was an avid skater and body surfer, who spent much time body surfing at Sandy Beach on the SE side of Oahu or at Haleiwa, on the North Shore. In between enjoying waves, Ron attended Leeward Community College, before he was accepted at the California College of the Arts in Oakland, CA, in 1988. At CCA, he learned to silkscreen and began making political posters. After two years at Bass Tickets, Ron left and began working at the I-Beam in San Francisco, as a doorman, stage manager, backstage security, an assistant to the booking agent Eddy Jennings, but most importantly, he began as the resident poster artist. What was once a way of advertising on the street, soon became like the great poster artists of the sixties, not just advertising, but ART. He soon became in-demand, producing classic works for other SF clubs. As his reputation grew, he joined up with one of his old friends, Ori Landau, who together created the silkscreen poster company "Team Drunk", quickly followed by "Psychic Sparkplug". Ron would soon enter one of the most prolific periods of his artistic life when he met and joined forces with artist Chuck Sperry. Together they would create "The Firehouse Kustom Rock Art Company". 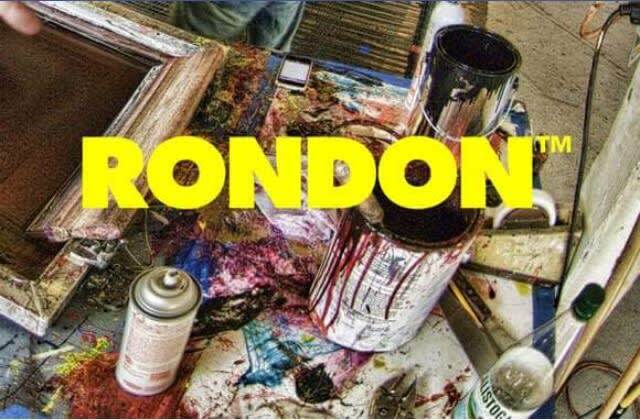 Housed in an old San Francisco Firehouse off Polk Street in Polk Gulch, Ron and Chuck would not only create but redefine poster art. Using Ron's computer skills, eye for picking out images, combined with Chuck's brilliant drawings, challenging and pushing each other to create work that stretched boundaries never before seen. All the while, they would take the time train the next generation of silkscreening poster artists. The Firehouse Kustom Rock Art Company soon began creating work for renowned musical artists such as U2, Eric Clapton, The Pogues, Garbage, Madonna, Audioslave, Janes Addiction as well as numerous "limited edition" posters for Virgin Records. 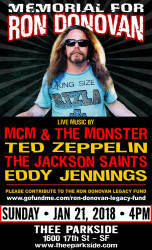 They would continue to make posters for the underground acts they loved and admired like Fugazi, Beck, Jon Spencer Blues Explosion, Thelonious Monster, X and local San Francisco acts like Sister Double Happiness, MCM and the Monster, Gwar, as well as one of their most creative, fun-loving and well-received series - "Incredibly Strange Wrestling". With the entrance of the internet, but prior to social media, like the bands they loved growing up watching, the Firehouse Kustom team would begin to also go on "tour". This first European Tour was featured on the cover of Rolling Stone, Germany edition. Creating a market for poster shows across Europe. They would also produce two table-top art books: "Eyesore: Recent Litter from the Firehouse Kustom Rockart Company" and featured in "The Art of the Modern Rock" and "AMOR" produced by Dennis King and Paul Grushkin, alongside world-renowned artists such as Frank Kozik, Coop, Chris Shaw, as well as the "godfathers" of the modern silkscreen poster, Winston Smith and Stanley Mouse and others. After the end and closure of Firehouse Kustom Rockart Company in 2012., Ron spent 5 years making Moon Alice Posters with art director Chris Shaw. They would continue to help to usher in the next generation of poster artists here in the SF Bay Area and abroad. Ron, Chuck, Chris Shaw (who went to CAA with Ron) and others would be cited by numerous up and coming artists as some of the most influential and emulated artists. Ron's friends are far too numerous to list. They include world-renowned poster artists, musicians and music industry icon's, street urchins, panhandlers, policemen and women, political heavyweights, tech billionaires, shopkeepers, artists all over the globe, as well members of the service industry and any and everyone in between. Ron was one of the richest people in the world - he had more friends than there are grains of sand on the beach. He would make you feel you as if you were the only person in the world when you spoke, all the while introducing you to everyone he would meet, then making you friends for life with those same people. He would make you fall down laughing, or at times, leave you frustrated and angry. "I'll be there in ten minutes" was a favorite refrain of his- you just had to make sure you were talking about the same hour or sometimes day! He never met anyone whose mother he couldn't charm or father he couldn't have eating out of his hand in five minutes. He was quite simply - loved. Ron is survived by his sister Debrorah Donovan, nieces Tracy and (Sean)Kobashigawa, Keri (Bo) Sison. Grand nices Shalyn (John) Gustafson, Joelle Kobashigawa (Paul O’Brien), grand nephews Cameron Sison, Chandler Sison, Christian Sison and Devon Kobashigawa (Tristen Lehr), great grand nephew and nieces Kai, Graison and Sage Kobashigawa. 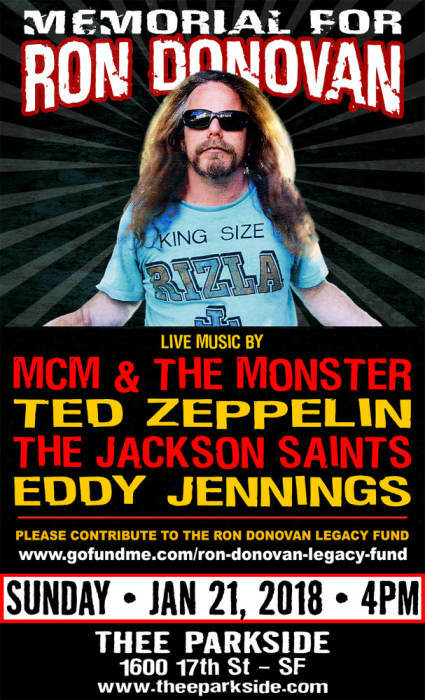 Baptized in bourbon by the kindred spirits of Bon Scott and James Brown, MCM and the Monster were the scourge of the San Francisco music scene from the late 80's through the mid 90's. They released three albums, played up and down the west coast, got big in Japan one summer, and just generally drove happy crowds into an ugly frenzy everywhere they went. Going to a Monster show was like doing hot yoga if you kept the all the hot but replaced all the stretching with bouncing up and down, and replaced all the meditation with screaming guitars and turntable, and replaced all the deep breathing with off-color lyrics and merciless taunting from stage, and replaced all the incense with beer. After lying dormant for over 15 years, the Monster has emerged -- Godzilla-style -- from its subterranean hyperbaric incubation chamber to once again lay waste to stages and social media pages across the far reaches of San Francisco's mid-town neighborhoods. Defying all rules of science and common decency, the band members have retained the muscle memory and diminished concern for self-preservation necessary to deliver a full-fledged beer sloppin', ear-poppin', wall-moppin' Monster show once again. After all these years, the band comes across as loud, lewd, likable, and unprofessional as they ever have, and they're eager to present their patented blend of muscular musical mayhem to a whole new generation of Monster fans, along with all of our long-time supporters (at least those for whom the parameters of probationary restrictions, work release programs, halfway house curfews, sanatorium free days, medical treatment protocols, psychiatric evaluation, indentured servitude, non-disclosure agreements and marriage allow the consumption of live music and fermented beverages). We hope to see you on the dance floor soon, or in the cauldrons of eternity soon after that.